Almen, an Albanian with three years of court dispute under his belt with Police and Border Guard (PPA) regarding asylum application is also filing for residence permit to be processed simultaneously with the application for asylum. A glance on the broader picture reveals a need for law amendment, admit prime and interior ministers. Albaania perekonna naisliikmed täna Postimehe artiklit lugemas. Isa Almen oli sel hetkel tööl. A father of three daughters, Almen says he had a good day yesterday. His story was widely discussed. Interior minister and prime minister reacted. In the morning, he got a phone call from Police and Border Guard Board (PPA) and was told that though the asylum application was still being processed, he need to immediately seek for residence permit pursuant to Aliens Act. Advice was provided. Vao asylum seekers shelter head got a phone call from interior minister Hanno Pevkur. «The father in the family has confirmed to Vao centre director that he will also be applying residence permit to work. This naturally will not terminate the proceeding for international protection,» interior minister Mr Pevkur said at governmental press conference. Mr Pevkur said the international protection proceeding of the Albanian must be concluded as well. If possible, the decisions will be taken together. 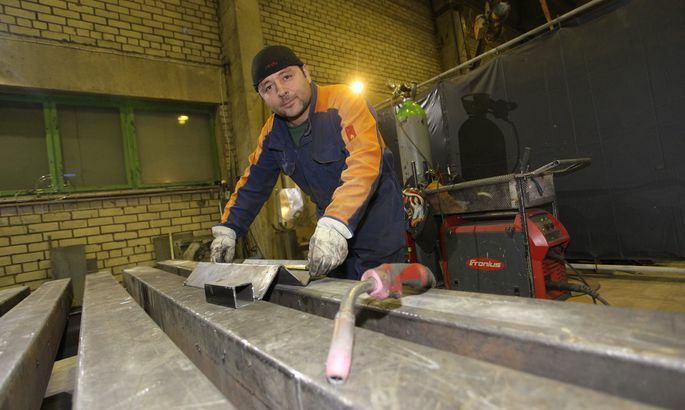 Employer to Almen, Egesten Metallehitused, promised to help any way they can. Yesterday morning, the enterprise’s representative Andrei filled the necessary papers and expressed hopes that the welder Almen will see his application okayed. «A good decent workman! The man has children who go to Estonia school, and they want to send him out!» said Mr Kree. Mr Kree said he has offered work to other Vao centre inhabitants as well, but not all have grabbed the opportunity. «In ten minutes media solved a problem which no-one could in three years,» said the Albanian. Until now, Almen has not applied for residence permit for working, neither has he worked for very long. He attended courses at Unemployment Insurance Fund (Töötukassa), and was thereafter at Egesten as apprentice and on probationary period. Mr Kree said Almen has officially worked for a couple of months. Also, he has been waiting for a proceeding to end. Both administrative and circuit court have thereat annulled decision by PPA to decline from awarding asylum. Administrative court found that PPA was not impartial in reviewing the asylum application nor checked the correctness of all evidence and data; the decision leaves the impression that PPA has tried to find reasons to reject the application by Almen. Circuit court believes that PPA is impartial while admitting that any doubt has been interpreted by PPA negatively towards Almen without basis. Also, the court found that PPA has not sufficiently substantiated why it was concluded that Almen was no longer under threat in homeland. Thus, the Albanian has grown sceptical towards PPA which also processes residence applications. «It seems to me they have something against me,» he has said. Now he hopes the residence application will still be satisfied. Prime minister Taavi Rõivas hopes that too. «I do not think Estonian state should be closed to all who would like to work and live here with the family. When people are willing to embrace the Estonian language and the Estonian culture, willing to invest here, then we ought to be open towards them,» he said commenting the case. Yesterday morning, Mr Rõivas also talked to Riigikogu constitutional committee head Kalle Laanet to discuss if the current law could be complemented with clauses pursuant to which asylum in Estonia could also be granted for humane reasons. «At the moment, the options are very limited in the law; even PPA has found there could be discretionary powers here,» said Mr Rõivas who thinks this could be a way to offer asylum to more of Ukrainians. «Could Estonia have a basis to award residence permit for humane considerations – I think yes,» also opined Mr Pevkur who said that last year they begun to search for «humane considerations» considered by other nations. In Finland, for instance, residence permit may be awarded for humane considerations if refusal would cause unreasonable difficulties as related to an individual’s health, connections in Finland, of the expulsion would be too much of a burden for the individual. «Even so, very few residence permits have been granted on such basis. This is very much an exception,» added Mr Pevkur. A similar procedure exists in Denmark. Residence permit may be granter if an alien has a serious need for medical treatment and expulsion may damage his health. In Sweden, it has been noted that residence permit may be granted «for extraordinarily good reasons». «In Holland, there needs to be a decision by the minister, a proof that the procedure is very much an exception but in principle there are always exceptions and such flexibility is also needed in Estonian legislation I think,» said Mr Pevkur. «In our behalf there is the readiness to take the wording into the constitutional committee. I believe we will find a reasonable compromise so that the Estonian legal system would feature the option to apply for residence permit for humane considerations,» he added. 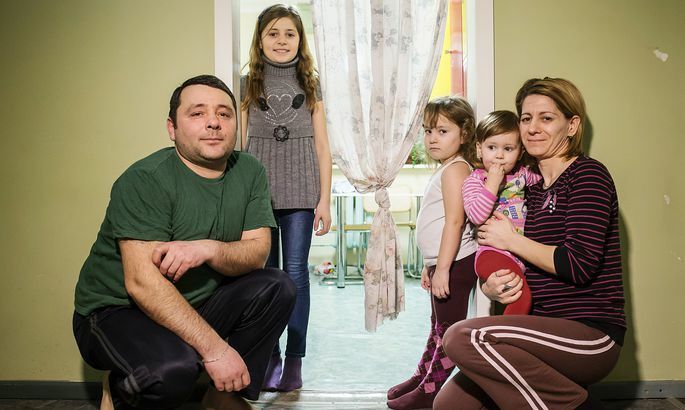 Yesterday, Postimees published an article on an Albanian family living at Vao repeatedly refused by PPA to grant them asylum though in home county the former criminal policeman Almen and his family have been threatened and he has also been jailed as part of the persecution. Pursuant to Estonian law, humane considerations are not allowed. Thus, it is not counted that the father has learned a new trade in Estonia and is working, while two daughters in the family speak pure Estonian between themselves, and the third was born in Estonia.